Where one can ponder a big decision and enjoy a continental breakfast. WARNING: This is not your ordinary The Way I heard It. This episode contains SPOILERS. 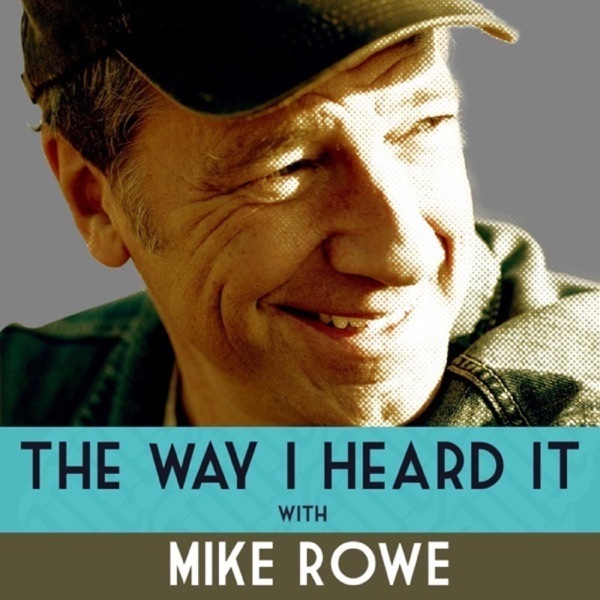 Storyteller Mike Rowe is joined by producer Chuck Klausmeyer to answer questions posed by fans of The Way I Heard It. Mike covers everything from how the podcast started to where it's headed in the future. It was never good new when the red phone rang - and on this December night it was ringing off the hook. A father and a son with more than just bars between them. He was notoriously proficient in his field and his advice was priceless – he just didn’t make house calls. Only problem is - it's not Bobby's bacon. Eddie was really good at blowing smoke. The story of a slightly subversive student with a taste for gin. The family business was brutal - but this Babe wanted in. His personal proclivities seemed to trigger women – so he had to keep them a secret. When you're in the back of an ambulance in the middle of a snowstorm - every second counts. How to make a billion dollars and remain absolutely calm. But only if the spirit moves you. The melody was sweet, but the lyrics were too painful to sing. What do you get when you cross a Private, a General, a lawyer, a doctor and two teenagers? Something worth standing for. When all is lost and the end is near - why not have a drink... or several. Neither snow, nor rain, nor heat, nor gloom of night could keep this 60 year-old mailman from finally receiving his due. Bill was known for creating unforgettable car chases - but there was one chase he wished he could forget. Sometimes choosing the right words means not sticking to the script. He flew into history - thanks to a nervous mother with an old-fashioned name. His formula saved millions from starvation - among other things. John loved Peggy so much he would do anything for her... including this! Mr. Akai had a secret - and every kid in the neighborhood knew it. In a competition like this - every inch counts. The greatest World's Fair on the planet - and it all started with shoveling horse poo. Bob was a Mad Man who could sell anything - but this new product gave him a terrible headache. How a mild mannered middle-school band teacher terrified America. You know his name - now you'll know why. Melvin's Stories always had a surprise ending - this one surprised even Melvin. Don't like your job? Just invent something that does it for you. You can stand, but don't you dare applaud. Choose them wisely or deal with the consequences. This groundbreaking agent had the world's most unique client. And he took him straight to the top. Neat trick, but can you copyright it? Thanksgiving isn't complete without a second helping of Presidential election politics. His ear for hearing patterns served him well. How his sweet tooth changed your life. When no one wants your product, don't change the product, change the name. Even the President can't help this guy catch a break. The craziest prison break story you've never heard of. How do you compete with a thriving 20th century company? Use 18th century technology of course. Donnie has a secret... and it's a doozie. Their escape from an overbearing family really put them on the map. Who will sing the praises of the famous warrior who refused to fight. A most unlikely path to becoming one of the greatest voices of all time. He loved her so much he gave her his job. She was plucked from the streets and catapulted to fame. Sometimes in life, it's better not to stick to the script. They say the truth will set you free, but in this case, it was a little white lie. He didn't like the quiet, so he made sure we all could pump up the volume. The most recognizable face that no one wanted to hire. She believes her husband is a genius. The only problem, no one else does. How her road trip changed everything – for YOU! It was a cold, dark night on the field of battle – and one man had the perfect plan to strike back at the enemy. He found his voice and defined a generation. And he owes it all to a little piece of fruit. Was he a lunatic or a genius? Sometimes it's hard to tell, especially when you're telling the world that doctors are killing their patients. He had the talent. He had the charisma. He had the looks. But without one little change, he'd never be the household name he is today. A kiss from her helped win the war. But her real assets changed the world as we know it. What inspired this series of short mysteries for the curious mind? Mike Rowe reveals the inspiration behind the new podcast.